For those of you just joining us, this is the 3rd and last installment of the Fancy Nancy Dress tutorial. To see more photos, and to start making your own version, click here. Fancy Nancy Book Set Giveaway! Lets finish the dress, already! At this point, you should have your cap sleeves attached to your dress. 1. Take your bodice lining, (which is sewed together at shoulder and side seams) and make small clips into the armhole. Make a small notch every inch or so, all the way around. Make them about 1/8″ less (length) than your seam allowance. 2. 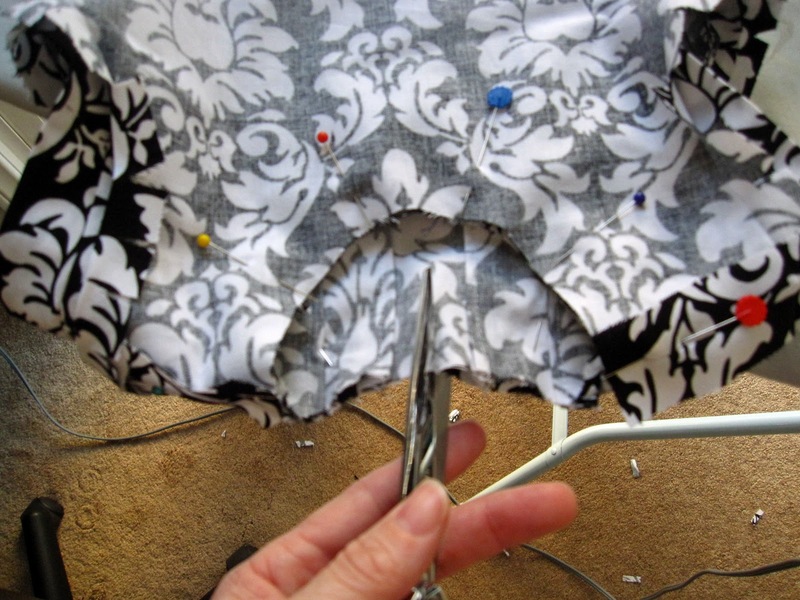 Fold your armhole edge down all the way around, turning in your seam allowance. The clipping helps you when dealing with the curves. Press. 3. 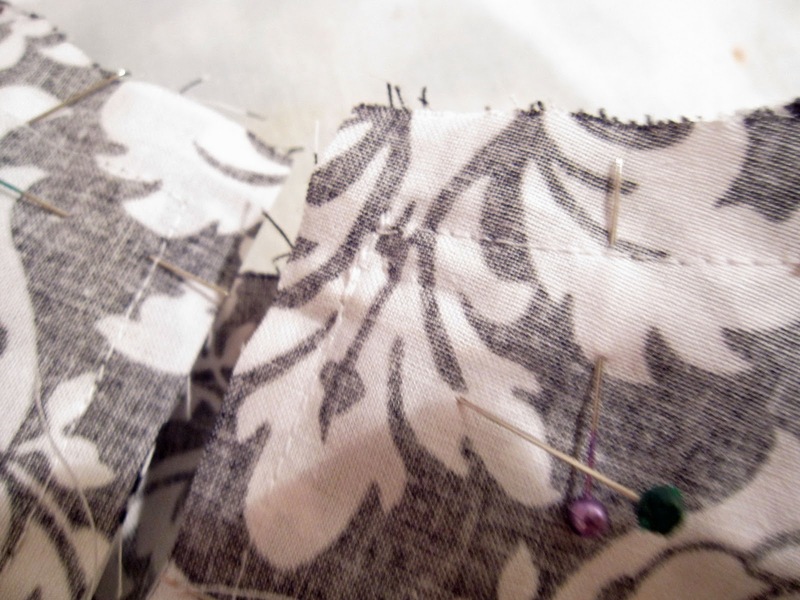 Finish the seam at the lower edge of your bodice lining. I surged mine, you can zig-zag stitch, or you can double fold and stitch. You just want to avoid an edge that can fray. 4. 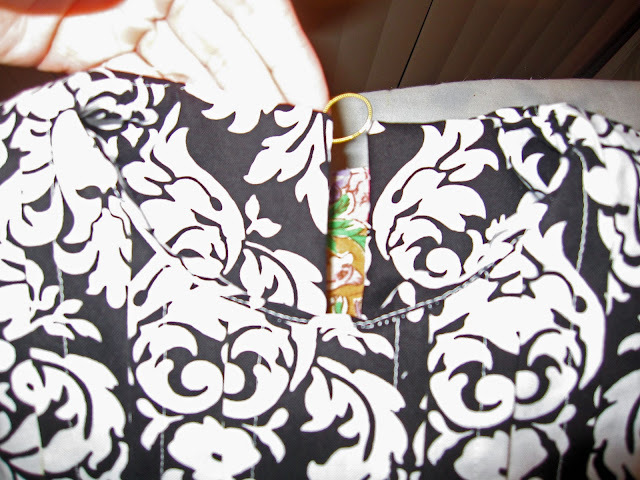 With right sides together, pin lining to dress. 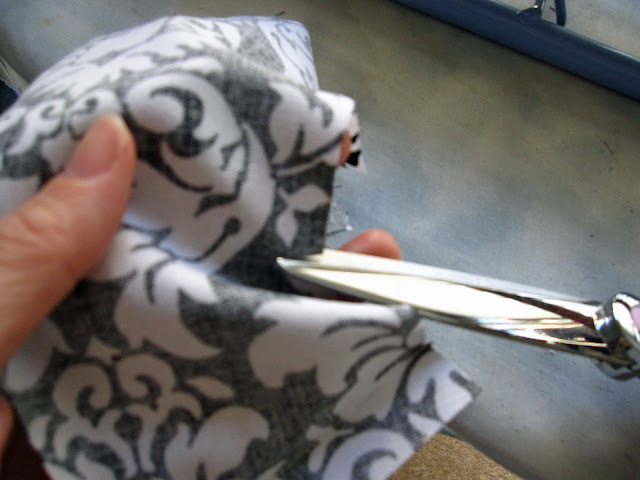 An easy way to do this is to leave your dress with the right side of the fabric out, and turn your lining inside out. 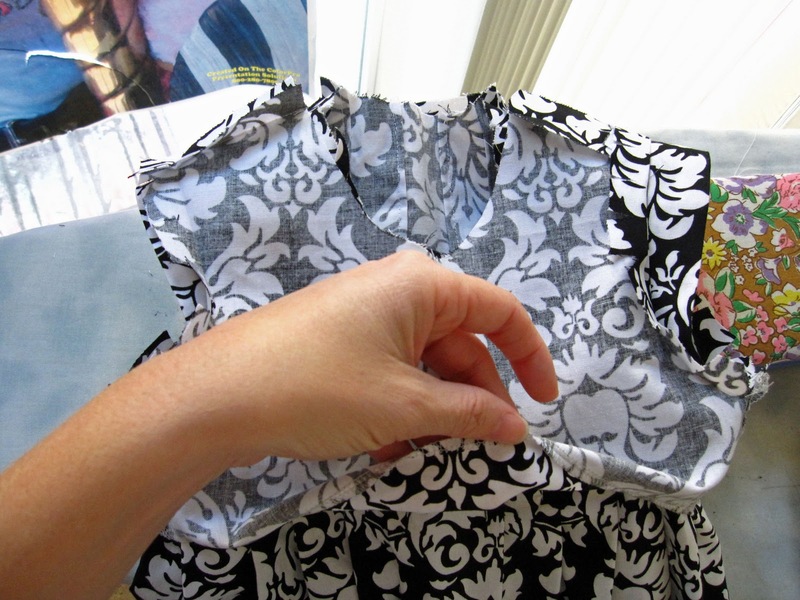 Pull the inside out lining over the dress. 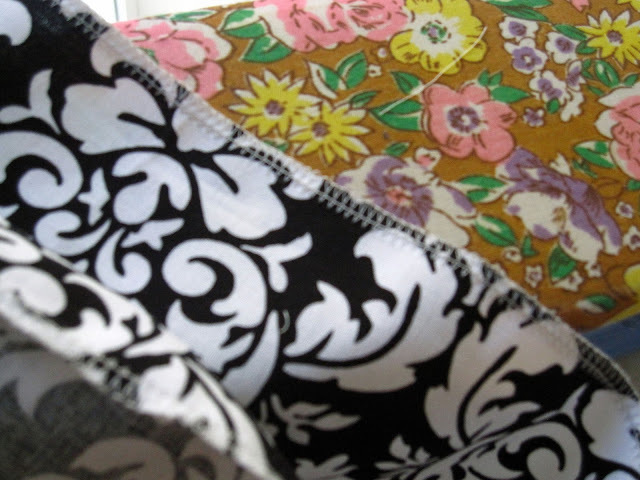 Then the right sides of the fabric are touching. 5. Line up the necklines of your dress and lining. Pin into place. 6. Now we create the back opening. Take your scissors and cut into your center back. 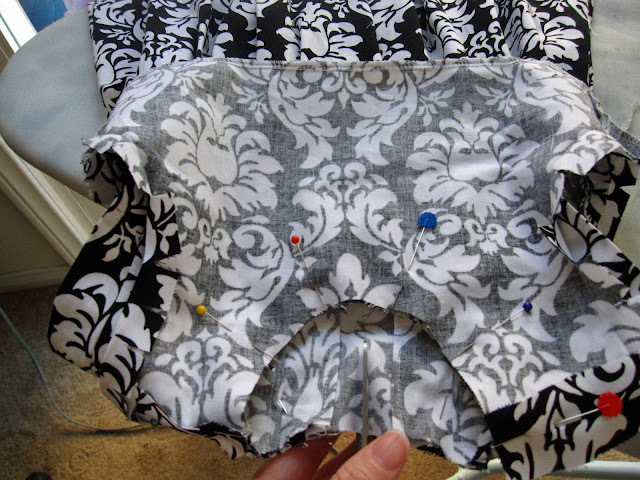 (This should be really easy to find, since the middle is the center of your back box-pleat.) For my four-year-old daughter, I cut down approximately 3 inches. Make sure you cut both your lining and dress. 7. Get a very small piece of elastic cord. (I happened to have a little bit of gold elastic in my stash) Fold it in half to make a loop for a button closure. 8. 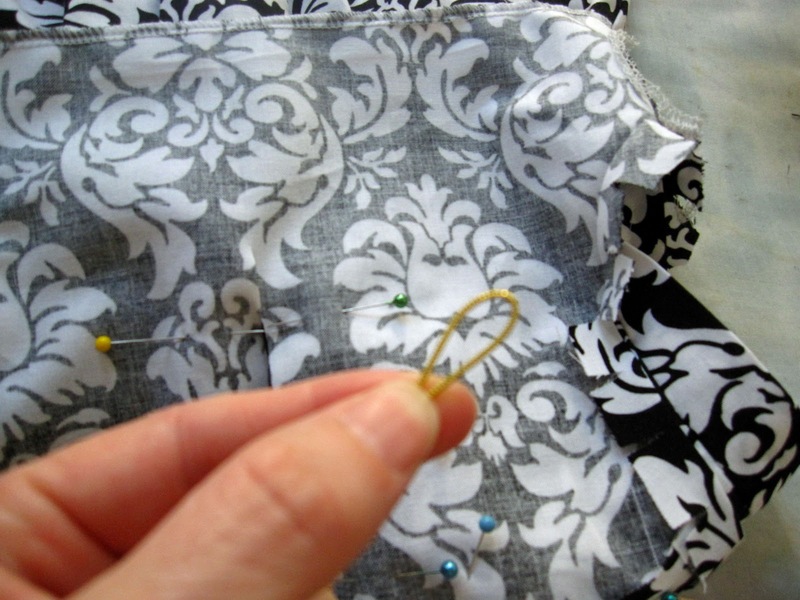 Pin your loop in between the lining and dress, in your back opening. You should place it about 1/8″ lower than your neck seam allowance. Face the loop part toward your armholes. 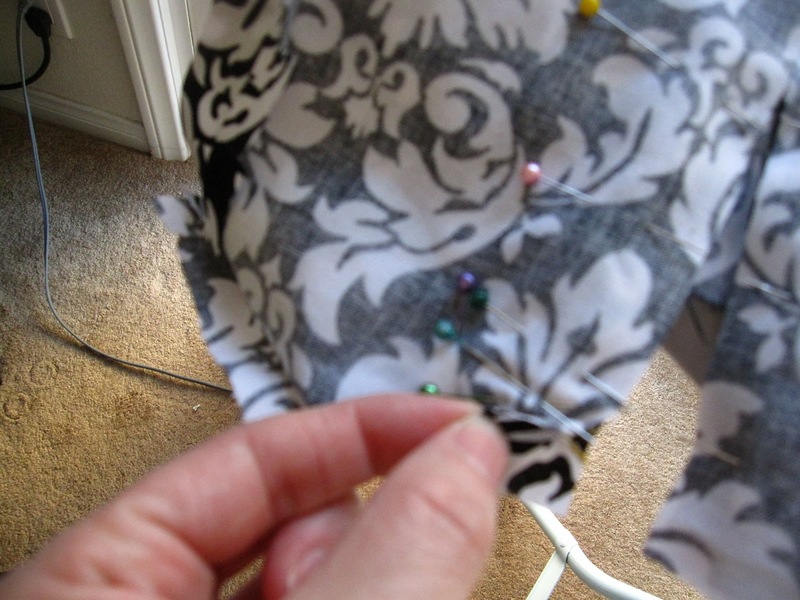 Remember to take into consideration the seam allowance of the back opening, when pinning the elastic cord into place. You can see where the elastic is by my fingers, several pins holding it in place. 9. 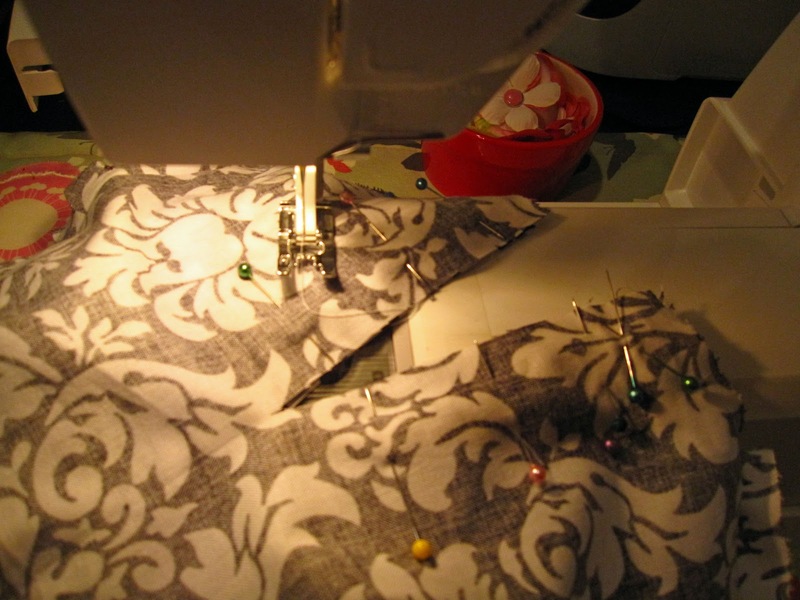 Stitch the bodice lining to the dress, sewing all around the neck, down one side of your back closure, and up again to meet the neckline. My stitches came to a bit of a point at the end of the back opening. You can round them as well. 10. Understitch the lining around the neck. This means you need to pull up the lining, and stitch it to the seam allowance right next to the seam you made in step 9. 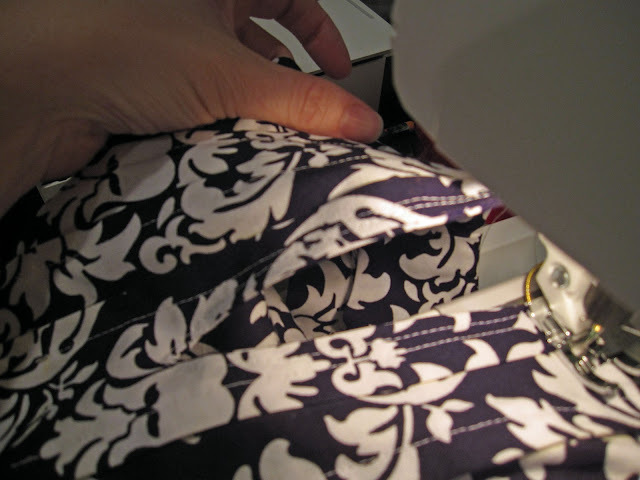 (In other words, take your lining, and your seam allowance and sew them to each other, about 1/16″ away from your original seam) When you hit the corner where the back opening starts, you have to stop. 11. Trim your seam allowance all the way around the neck, and around the back opening. Get very close to the seam in the bottom of the back opening, and at any corners. 12. 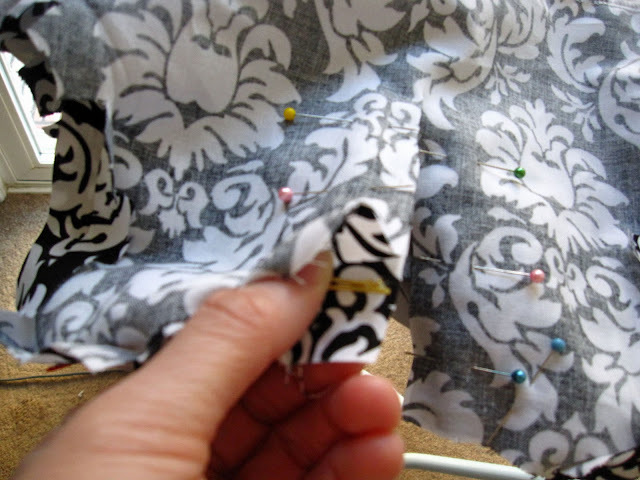 Push the lining inside your dress. For the corners and the back opening, if you haven’t clipped close enough, you might have a little trouble getting crisp edges. Go back in and trim some more if needed. 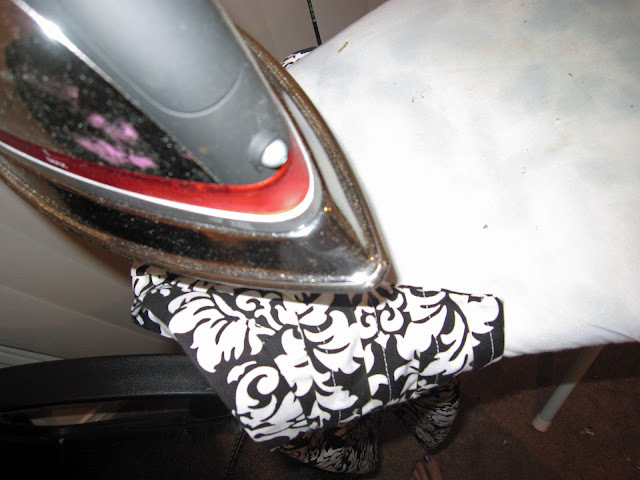 Use a pointy object to push the corners out. 13. Iron, with pressure and steam. Get the neckline nice and crisp. 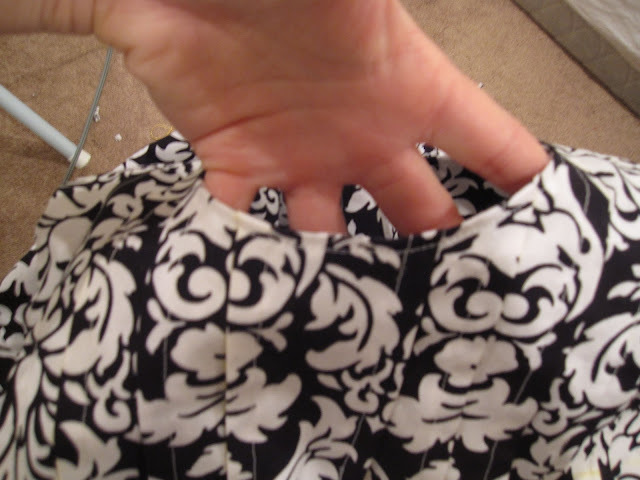 Your understitching (where your sewed the lining to the seam allowance) should be INSIDE the dress. 14. 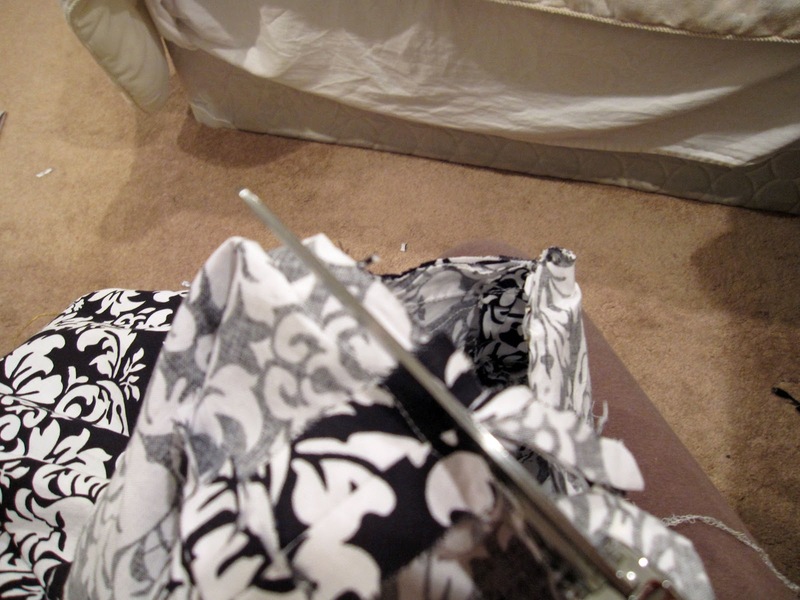 Topstitch all around the neck and back opening. 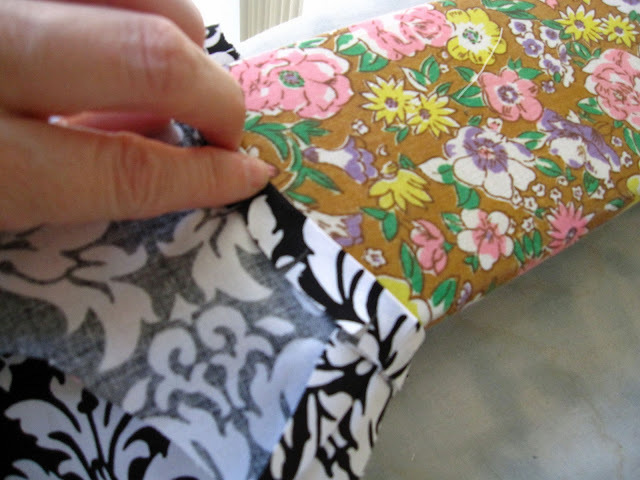 Sew about 1/8″ to 3/16″ away from the edge. This will help to keep the lining where it is supposed to be. 15. 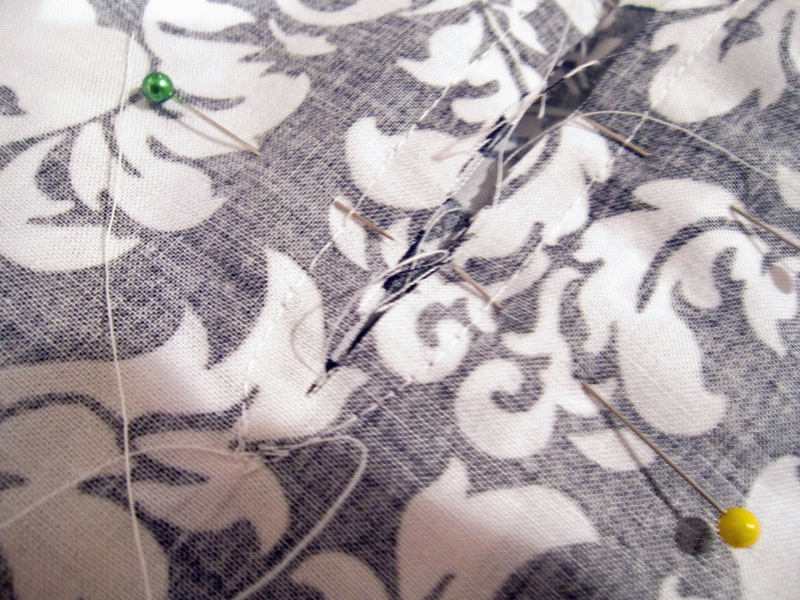 Now for a bit of hand sewing. Turn your dress inside out, lining face up. 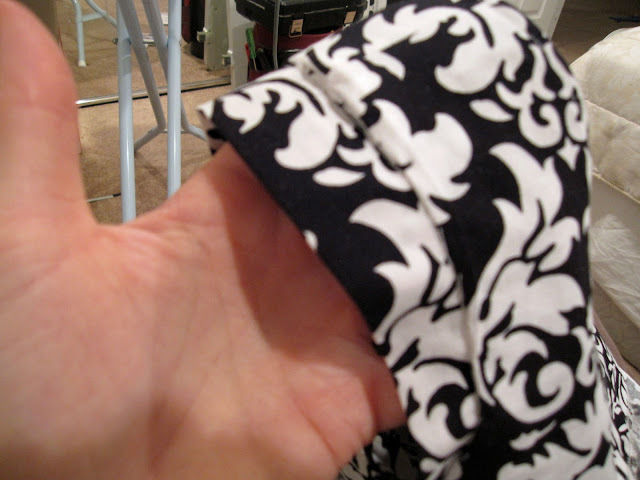 At the sleeves, match up your folded armhole edge of the lining to the sleeve seam of the dress. 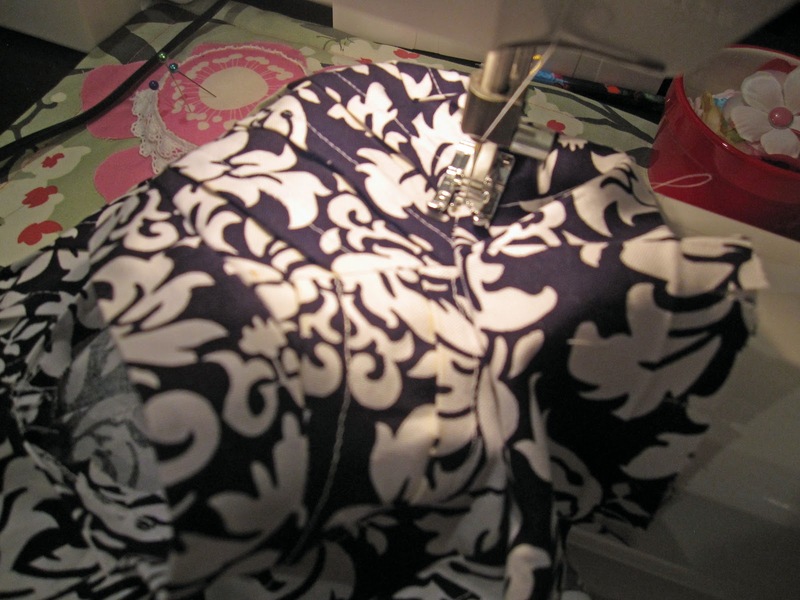 Cover the seam allowance with the lining and hand-sew (slipstitch) into place all around the armhole seam. This makes it nice and neat. 16. 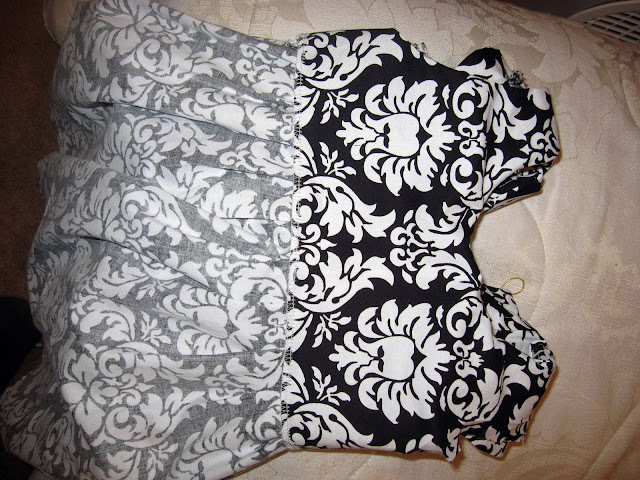 Hem the dress. 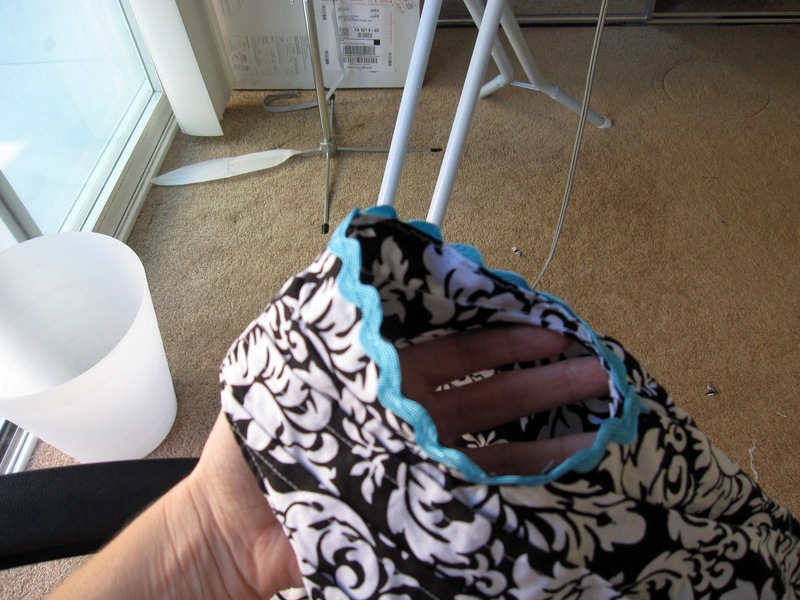 I surged the edge and folded it under once, but if you don’t have a surger, just fold the dress under twice, pressing each time, and sew into place all around. 17. 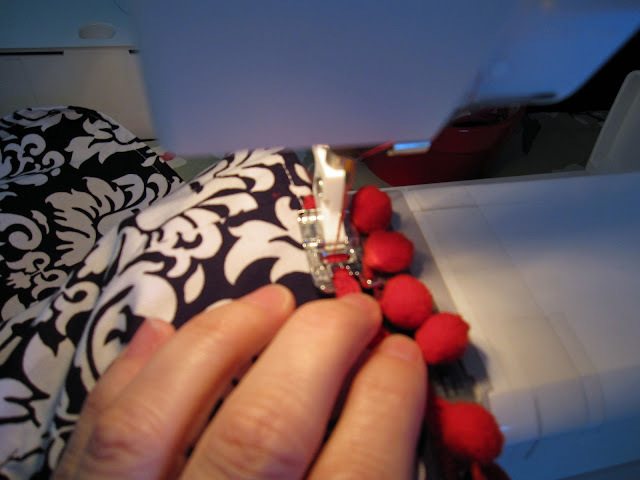 Sew your closure button onto the dress across from your elastic cord. 18. 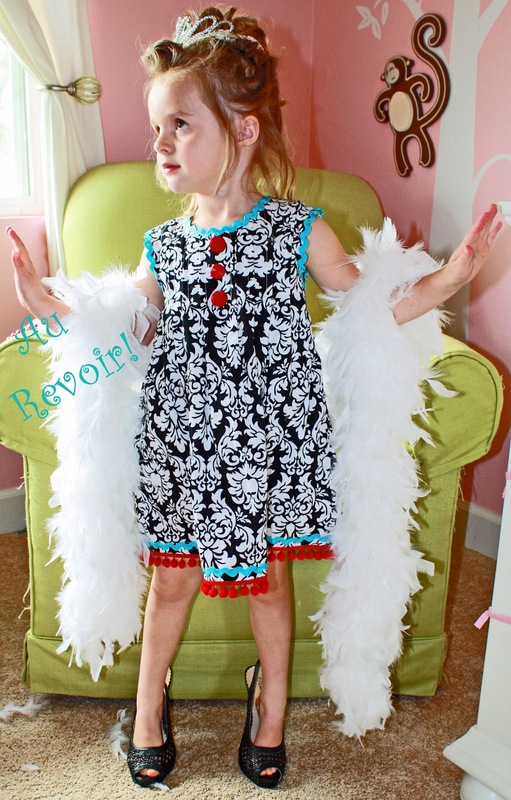 Now, decorate your dress, the fancier the better! 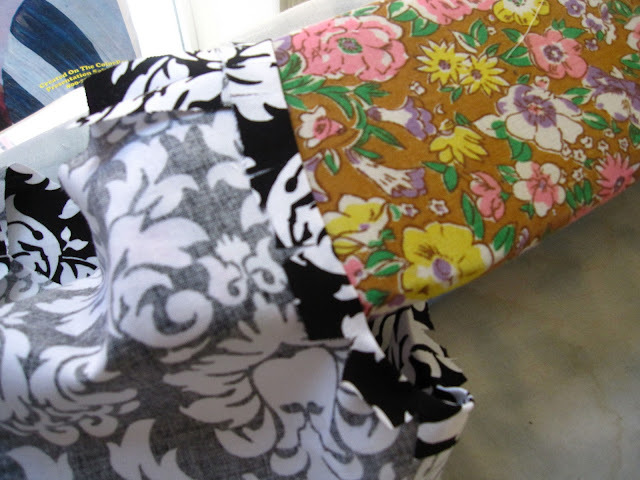 I used rick-rack around the sleeves and neck, added buttons down the front, and rick-rack and hoo-balls at the hem. 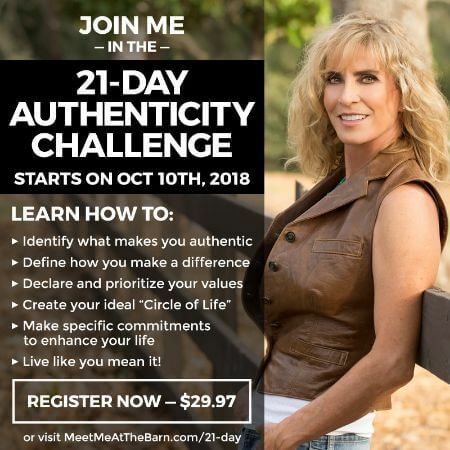 You can do the same, or give it your own flair. 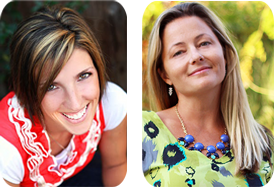 WE WOULD LOVE TO SEE/SHARE PICTURES!